During your initial implant consultation, Dentist Dr Rob Sivertsen will conduct a thorough examination of your teeth and mouth. This process may also include a full set of radiographs to ensure there is sufficient bone structure and gum thickness to support your implant. The dental implants are developed from medical grade titanium and act as a substitute for the missing tooth’s root. Once placed in the jawbone, the implant provides a solid foundation to which a crown or bridge may be secured. After placement, your implant is left to bond with your jawbone. It takes about 3-4 months, during which time a provisional denture, crown or bridge (acting as a tooth) may be in place. Your mouth will then function normally, and you will retain the appearance of a natural smile. Once the implant site has healed, your temporary tooth is removed and replaced with your new, permanent tooth. We believe in keeping your best interest in mind at all times. If you have a missing tooth or a tooth needs to be extracted, we’ll detail all tooth replacement options to you. You can even choose not to replace the tooth if that’s what you want. We’ll outline what is involved in having a bridge, implant, denture or no replacement. You’ll understand the benefits of each choice and get as much information as possible so that you can make a fully informed decision. Why should I choose dental implants over other options? You can think of dental implants as the Rolls Royce of tooth replacement. It gives the best outcomes. The price has come down considerably since dental implants were first introduced. It acts as a natural tooth, and you can treat it as such. With proper brushing, flossing and regular dental checkups, it should last for a substantial duration. 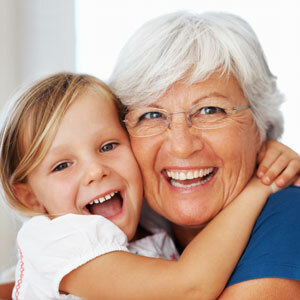 Dental implants boast a high success rate and are appropriate for many people who are missing teeth. I’ve seen offers for cheap rates on dental implants in other countries. Is it a good idea to go there for surgery? You can find dental implants at cheaper prices from unknown companies in other countries. There are only a few highly reputable dental implant manufacturers. We work with these well-known companies for a reason: their products are unparalleled. As to having the procedure done in another country, the risk involved is substantial. You should have the same person managing the placement of your implant and the creation of your crown, bridge or denture so that it is a perfect fit. We work with a trusted specialist for the placement to ensure that the best possible results are achieved. If you’ve been curious about tooth replacement options, we’ll let you know if you’re a candidate for dental implants Toowoomba. Contact us today to schedule a consultation!